"When my daughter became mobile, diaper changes turned into a nightmare. So I tried taking her to the bathroom and it amazed me how quickly she learned what the potty was for! 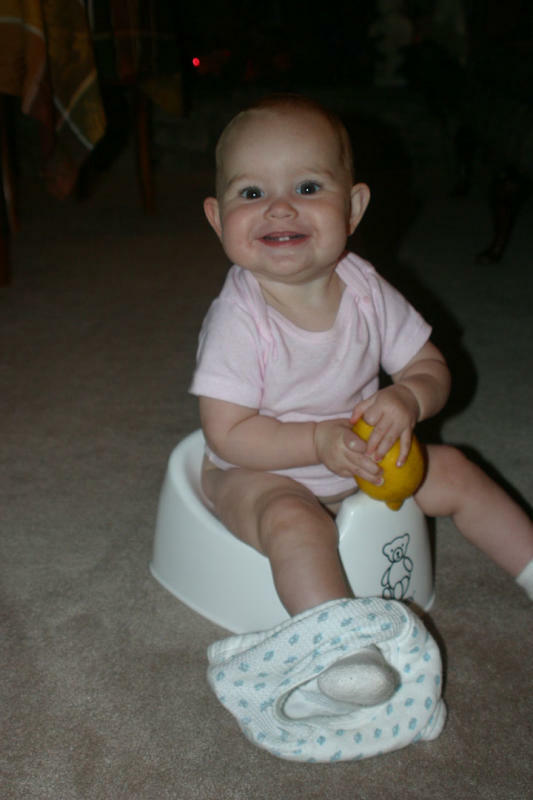 We both enjoy our potty sessions much more than diaper changes." " By the time Simon was three and a half months old he had proven to us that EC is more than just 'parent training.' He started signaling his need to pee by making his own imitation of our 'sss' cue! We were delighted to be in such two way communication with him." "Doing EC with Ben has completely changed our relationship for the better. Before we started EC, it seemed like he often cried for no reason. With EC, I finally have an important tool to help meet his needs, and he is 100% happier." "Traditional toilet training with my first childwas easy, so I was cynical about the value of EC. However, I started to practice part-time EC when my son started solids and I soon realized that he really could communicate his elimination needs. Practicing EC helped me to better understand his behavior. We eased into using the potty and he never had to be 'trained' at all." "Responding to your baby's elimination patterns provides many wonderful opportunities for you and your baby to communicate and to become more in-tune." I know when I need to pee!" Where are you most and least comfortable pottying your baby?